Among the towns and villages on the Costa Brava, Cadaqués outstands for its genuineness and singularity. The name of Cadaqués could result from the evolution of “Cap de Quers” ( Rocks Cape) due to the large amount of rocks, especially in the area of Cap de Creus. Another option is that Cadaqués derived from "cadaquer" or "cadaquers" (forest of càdecs: shrub of this coastal area). A third possibility is that Cadaqués is the combination of two words of Greek origin, kata-kairus, occasional port (as the Greeks used this port in its trade routes when bad weather forced them to interrupt the passage). Located at the oriental part of the peninsula of Cap de Creus, the town, which is considered as the jewel of the Costa Brava, has a history of thousands of years, dating back to the Iberians’ period. Other more advanced civilizations arrived through the Mediterranean Sea such as the Sardinians, the Etruscans, the Egyptians and especially the Greek and Romans, all of them great navigators. No doubt these cultures and especially the Greek and Roman culture, which settled in the peninsula for a long time, enriched the Iberians culturally. This contact must have meant a great progress in fishing and sailing. 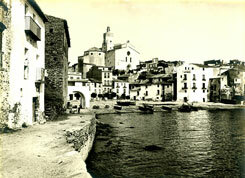 Cadaqués was first documented before 814. The document recounts the shipwreck of a vessel that carried the relics of both Sant Abdó and Sant Senén, near Cadaqués; the shipwrecked people and the relics were saved thanks to the villagers’ help. 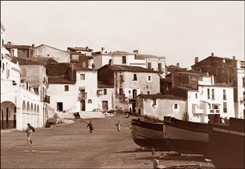 Cadaqués also appears documented in a donation in 974 and later in 1030, when the monastery of Sant Pere de Rodes bought a freehold of fishery and ports to the count of Empúries. The latter document highlights the existence of fisheries, vineyards, ports, coves and beaches in this peninsula. At that time, villagers combined fishing with farming as a means to survive in this apparent hostile and difficult place. But there were more problems that worried locals, such as the pirates and corsairs’ attacks which constantly stormed Cadaqués. According to a document dating from 1444, kept at the municipal archive of Cadaqués, 22 Moorish galleys set fire to the village and destroyed the municipal archive. The village walls were built as the inhabitants of Cadaqués were constantly threatened by Genovese corsairs and Algerian or Turkish pirates, such as the fearful Baba Aruj, known as Barbarrossa, who looted and set fire to the church. 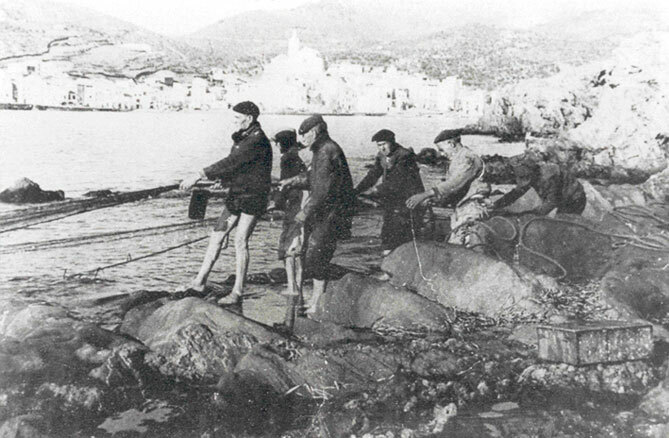 The villagers’ vulnerability was due to the fact that Cadaqués was geographically isolated from the surrounding area by the Pení Mountain and thus the easiest way to leave or get to Cadaqués was by sea. 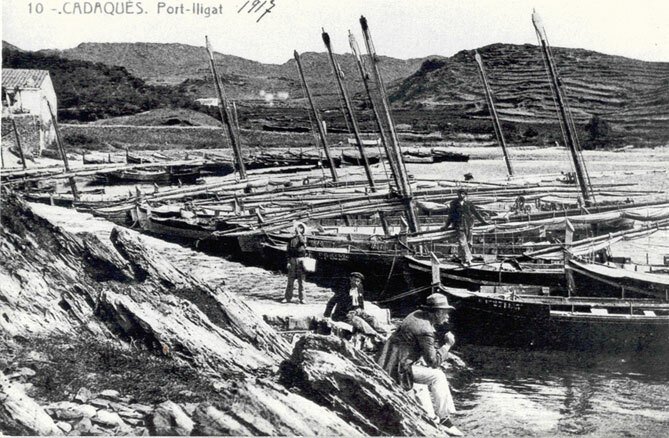 A great number of fishermen and sailors from Cadaqués were captured by the Moorish, although occasionally they were also kidnapped inland. For this reason from time to time the bravest sailors faced up to the invaders and so people became adept at sea faring, as it can be established early in the 13th century, when King Jaume I reconquered Majorca from the Saracens with the help of Cadaqués’ sailors. 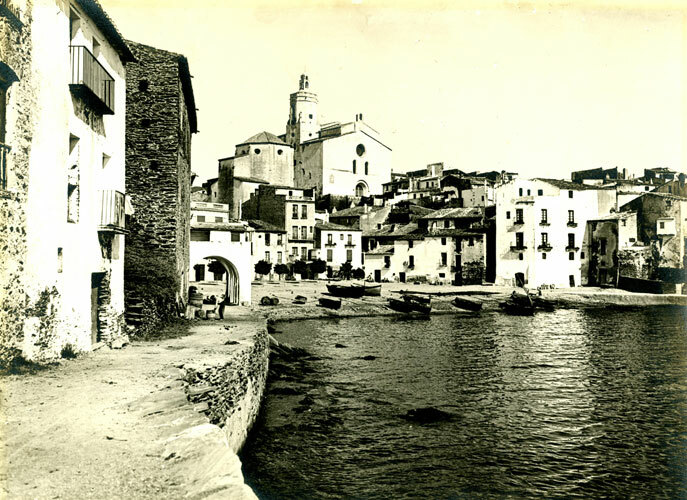 As for the different cultures that have passed through Cadaqués, the Jewish community, whose synagogue disappeared in the 15th century, was especially important as it had considerable influence on the toponymy of some streets. The “Book of fishing ordinations” was written so as to regulate and control the fishing system during the 16th and 17th century. It contains the laws that ruled among the fishermen. They were highly collectivist as the coves were distributed and the fish was shared among the families in the village. The Council was formed by the University of Cadaqués who regularly met to talk about the community problems. 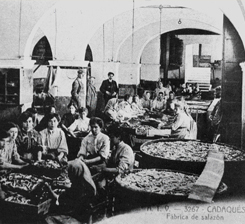 As the Mediterranean Sea became safer and safer, Cadaqués developed industry, commerce and overseas routes. 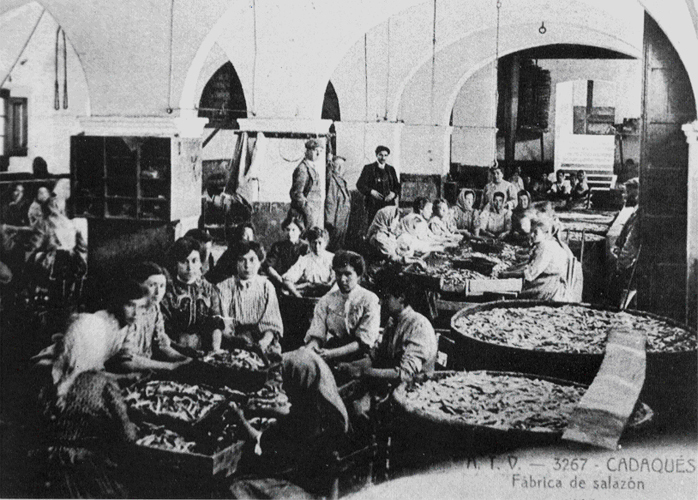 Consequently, in the 19th century a large number of food industries emerged such as processing or manufacturing anchovies, tuna, olive oil, eau-de-vie, soda, vinegar, soup pasta, etc. Other industries manufactured cork stoppers, soap, potassium carbonate, smoking pipes etc. In the early 20th century, both vineyard and olive growing were slowly disappearing, which led to an economical impoverishment and to emigrations to America. 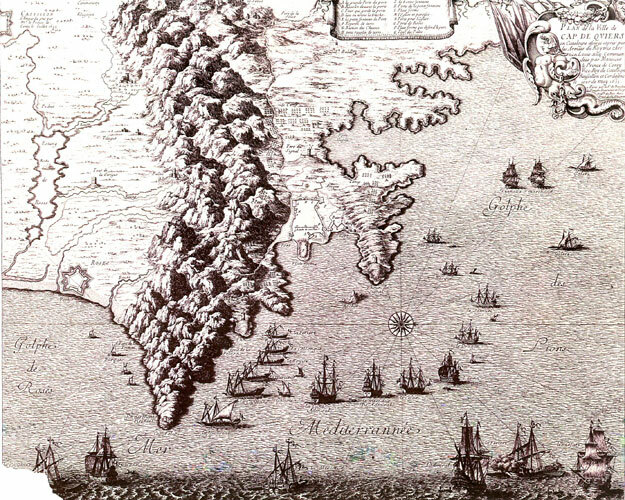 A large number of inhabitants of Cadaqués emigrated to Cuba, Haiti, Argentina, Mexico and New York. These immigrants, referred to as indianos among other names, were still in contact with the village through the local magazine called Sol Ixent. 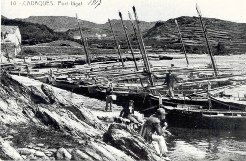 It kept them up to date with local news and vice versa as it acted as an umbilical cord between those living in America and those living in CadaquésThe luckiest were financially successful in America and returned to Cadaqués where they built luxurious houses which even presently contrast with the simplicity of the local houses. Very soon, the village became a favourite spot for local and foreign artists who were attracted by the beauty of its rugged and rocky landscape. 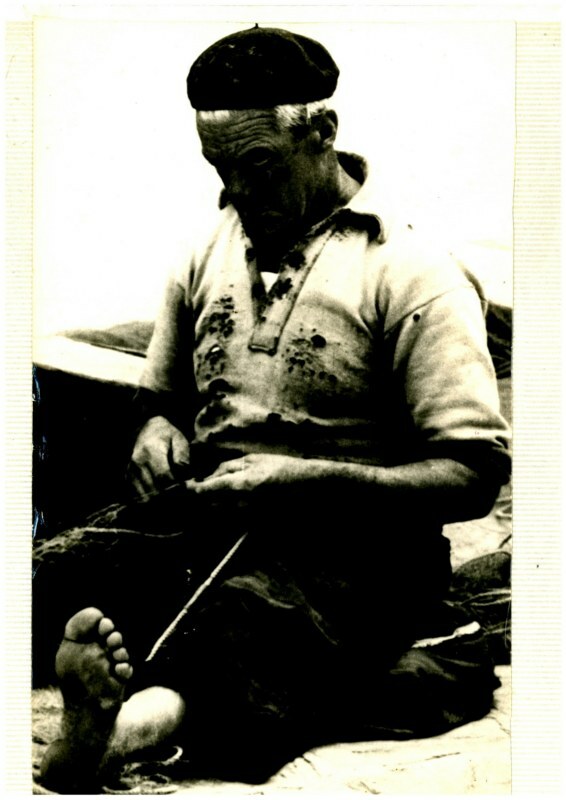 A lot of painters and writers before Dalí visited Cadaqués as Eliseu Meifren or contemporanies such as Picasso, Duchamp, Max Ernst, Magritte and Antonio Pitxot along with his family known for its artistic and musical talent in addition to writers such as Paul Eluard and his wife Gala, Federico García Lorca, Eugeni d'Ors and Josep Pla, as well as the famous filmaker Luís Buñuel passed through Cadaqués among many others. Finally, in the 60’s the village experienced the tourism boom, fishing and agriculture was abandoned and the village experienced an expansion in the service sector as more and more visitors arrived drawn by its rich heritage: its special dialect called parlar salat, its traditions, the church of Santa Maria, the doll, a typical local jug with a spout and 3 handles, usually varnished in green, and used to keep olive oil and olives. All these historical elements have turned Cadaqués into a very special town.